Welcome to Kingston Springs, Tennessee! 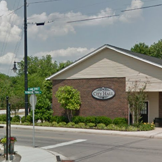 The Town of Kingston Springs is a picturesque bedroom community twenty miles west of downtown Nashville on Interstate 40, offering easy access to premium shopping and a quick commute to the heart of the city. Kingston Springs is home to a variety of businesses, restaurants, churches and highly-ranked schools that serve the town's eclectic, family-friendly community, while pristine parks along the Harpeth River create a tranquil escape for residents and visitors of all ages. Outdoor activities, social events, or serious rest and relaxation - the choice is yours. Enjoy a brew and one of the best burgers around, wood-fired pizza, and more. Truly a local secret - Kingston Springs is home to stellar musicians. Eat really local on the 2nd & 4th Saturdays of the month from May to October. There's rarely a shortage of activity at the Kingston Springs Dog Park. Area kids love the L.L. Burns Park Splash Pad, open Memorial Day to Labor Day. Soccer is popular in Kingston Springs. We have multiple teams at several age-levels. L.L. Burns Park is home to a professially designed 9-Hole Disc Golf course. Anglers enjoy Ulrich Landing, L.L. Burns Park Pond and the Harpeth River. Experience the spectacular craftsmanship of our residents in early October. 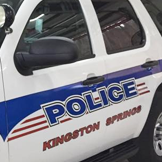 The Kingston Springs Police Dept. 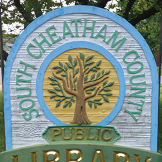 earns our TBI rating as the 9th safest community in TN. 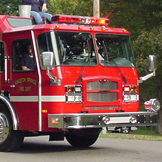 Three fire stations and 24 volunteer members help keep our residents safe, since 1959. Our Public Library is as unique as its log cabin structure.